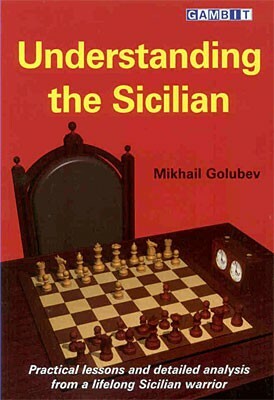 Produktinformationen "Golubev, Understanding the Sicilian"
Mikhail Golubev has played the Sicilian as Black and White for the whole of his chess career, specializing in the sharpest and most aggressive systems. Here he presents the whole undiluted truth as best he sees it about this most popular and cut-throat of openings. The quality of the games is striking. Even the list of opponents in junior tournaments features Kramnik and Shirov, while more recent opponents include Ponomariov and Svidler. Ivanchuk s extraordinary ideas crop up repeatedly. But we also see Golubev facing more normal opposition, where as the higher-rated player the top priority was to create winning opportunities. There is much to learn from Golubev s honest warts and all presentation. We see the process of discovery and experimentation, and develop a feel for the spirit of the Sicilian. There is a wealth of original analysis (all scrupulously computer-checked), novelties and strategic guidance. For Dragon, Sozin/Najdorf and Velimirovi players in particular, this book is an absolute must-read, but Anti-Sicilian and Taimanov players are among those who must also watch out. All Sicilian lines are covered, with the exception of those that have never occurred in the more than 440 Sicilian games from Golubev s professional career. Mikhail Golubev is a grandmaster from Odessa, Ukraine. He is a noted expert in several opening systems, including the King s Indian and the Dragon. His previous book for Gambit, Understanding the King s Indian, has been praised for the quantity and quality of its original analysis, and for Golubev s objectivity in identifying the critical lines. Weiterführende Links zu "Golubev, Understanding the Sicilian"
Kundenbewertungen für "Golubev, Understanding the Sicilian"